A relationship breakdown involving children can occasionally raise questions about the paternity of the child. Ultimately DNA testing will determine beyond any reasonable doubt who the child’s parents are, but other matters are taken into account before that DNA test is conducted. A child born to a married woman during the marriage is presumed to be the child of the woman and her husband. A child born to a woman in a de facto relationship with another man is presumed to be a child of that relationship, provided the relationship is longer than 6 months, but less than 10 months. You are presumed to be a parent of a child, if you are named as such on their birth certificate, or if you acknowledge you are a parent in any document. If any of these circumstances apply to your situation then you will be required to produce evidence proving that the presumptions are incorrect. If the parentage of a child is a question in issue in proceedings before the Court, you can seek and the Court can makes orders requiring a parentage testing procedure (DNA test) to be carried out. This will involve DNA testing of the mother, child and any other person who many assist in determining parentage. For unmarried parents, or parents who are not involved in de facto relationships as described above, where parentage is disputed, then parentage will be required to be proven. There have even been occasions where the mother is not certain of who the father is and in that situation the Court can order parentage testing procedures to be carried out on a number of suspected fathers, until the parentage of the child has been determined. Establishing parentage is generally necessary before the Child Support Agency will make assessments about child support, although if you have signed a document such as a birth certificate or hospital records acknowledging you are the father, you can be assessed and ordered to pay child support on that basis. Parentage is also generally necessary before a Court will order a child to spend time with you, although there are circumstances where third parties can spend time with children, such as grandparents, for example. 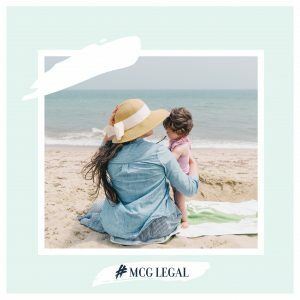 If you have doubts about whether you are a parent of a child, you can commence proceedings in the Federal Circuit Court of Australia, detail evidence supporting your suspicions and ask the Court to order that you, the mother and child undergo a DNA test. This is very relevant to some child support matters where parenting is contested after child support issues orders to a parent to pay. If you are not the father of the child through DNA testing, then the Court can make a declaration that you should not be further assessed by child support because you are not a parent and you can make an Application to recover all of the money you outlaid in child support. If this is relevant to you, you should seek our urgent advices to resolve the matter.